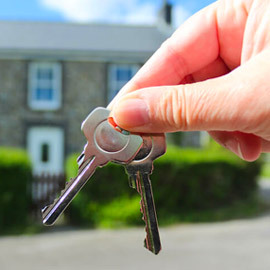 The settlement of a purchase or sale of property can be complex. You need reliable and experienced people to handle your settlement in a timely manner. At Stevens Partners your trained and qualified conveyancer accepts full responsibility for your settlement and you deal with one practitioner through the whole transaction. In addition your conveyancer has the benefit of the back up of expertise accumulated over 30 years in all facets of conveyancing. Stevens Partners state of the art technology allows your conveyancing specialist to process and produce documentation quickly and efficiently. Our links to major instrumentalities, banks and other property partners allows your conveyancer to detect potential delay issues and pursue a resolution. Through Jeff’s role in guiding the AIC into Electronic Conveyancing we are at the forefront of emerging technology. Our location, next door to the Lands Titles Office, means we are only ever a few steps away from solving any last minute problem on settlement day. We understand that, for most people, buying and selling property will represent the biggest financial decision in their lives. We attend to all procedural and legal requirements involved in the settlement process. Our aim is to take the stress out of the settlement process for you. Stevens Partners is a long established successful business based predominantly on 'repeat business' because we pride ourselves on getting it right.